Craig Kief’s work is an eclectic collection spanning many genres and styles. This variety has made him highly adaptable, and a perfect fit for a diverse set of directors. Most recently, Craig finished shooting the pilot and first season of the highly acclaimed dramedy Me, Myself and I from Warner Brothers and CBS. Though it was short lived, the series was a beautiful story about a mans life spanning 3 time periods, 1991 when he is 14, 2017 when he is 40, and 2042 when he is 65. This provided the opportunity to create 3 unique looks within the show to convey his situation in each time period through visual storytelling. Prior to this Craig had just finished shooting the pilot and season one of the hit comedy series The Mick for FOX, which was a unique challenge with every episode containing kids, stunts, special effects, visual effects, and cross coverage of every scene with 3 cameras – while still maintaining modeled beauty lighting that reflects the opulence and beauty of the most expensive community in America. Prior to that was the sophomore film from the team that created 7 Days In Hell, the most successful comedy in HBO’s history (which Craig also photographed). The Andy Samberg starring film is called Tour De Pharmacy, and is a mockumentary about the 1983 Tour de France – told through mixed media archival footage Craig shot with vintage video cameras. Simulating the television coverage of the Tour’s alpine ride required a variety of rigs, mini process cars, drone work, and other tricks. The 2015/16 television season brought Craig's first network pilot and series, The Muppets for ABC. After his experience shooting several commercials for The Muppets, he was chosen to shoot the series in part because of the highly technical nature of the production. Every single shot was both a visual, and a special effect. The series broke new ground for the ensemble, by photographing them in a kinetic style with as many as six cameras at a time that had never been done before. This and a component of the show that mimicked a late night talk show with pedestal cameras, moving lights, and other tricks, created an opportunity to construct several different styles within the show. Prior to and in between television series and films, Craig shoots commercials for clients such as Apple, Under Armour, Lucasfilm, Marvel, AT&T, Google, and many others. He’s particularly regarded for his naturalism, speed, camera movement, and visual effects driven work. He has also shot dozens of music videos, including Lovett's 'Eye of the Storm', which earned Craig a nomination for best cinematography at Camerimage, and an article in American Cinematographer. Other projects have been covered in ICG, IndieWire, Post Magazine, and Cinefex. Craig also occasionally shoots documentaries, such as the Emmy nominated CNN series 'The Sixties' and 'The Seventies’. 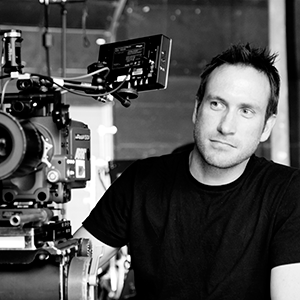 Prior to working as a director of photography, he spent several years as a commercial and indie film gaffer. He graduated from the Florida State University Film School, where he received an ASC award for cinematography for one of his student films. Craig is experienced and comfortable with the latest technologies in all major camera and lighting systems, and has even served as a consultant for major manufacturers.